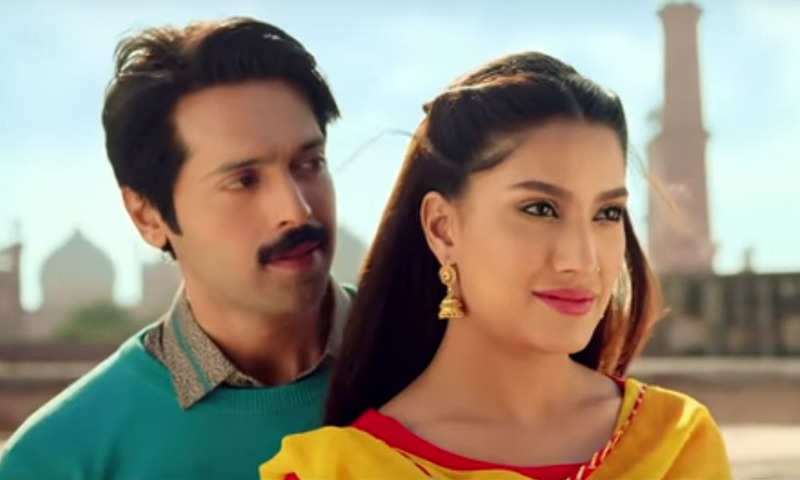 And the most successful filmmaking duo of Fizza Ali Meerza and Nabeel Qureshi is back with Load Wedding … Fahad Mustafa and Mehwish Hayat steal the show in the first teaser of their upcoming film which will be released on Eid ul Azha in collaboration with Geo Films and IMGC Global. Fahad Mustafa’s different avatar in the teaser gives you the feeling that he is playing a simpleton from a local village who falls in love with a fellow gaon wali played the one and only Mehwish Hayat. One thing is for certain – the Actor In Law duo is all set to wow the audience with their acting skills, dance moves and sadness that gives you all the elements of a blockbuster. Move aside Tanu Weds Manu, Load Wedding is here to stay. The Shaadi Vibes the teaser brings will stay with you until the film’s release in August. You can see actors like Samina Ahmed, Noor ul Hassan as well as Faizan Hassan in the teaser in prominent roles. The highlight of the teaser is neither the dance nor the slap but the brilliant cinematography by none other than Rana Kamran who has been giving hits for the last 5 years. The film’s story, screenplay, and dialogues have been penned by the same people who were behind Na Maloom Afraad 1 & 2 and Actor In Law … let’s see how this film fares at the box office, especially in front of Jawani Phir Nahi Ani sequel releasing on the same date. Next articleFeroze Khan Flawlessly Shuts Down Haters!